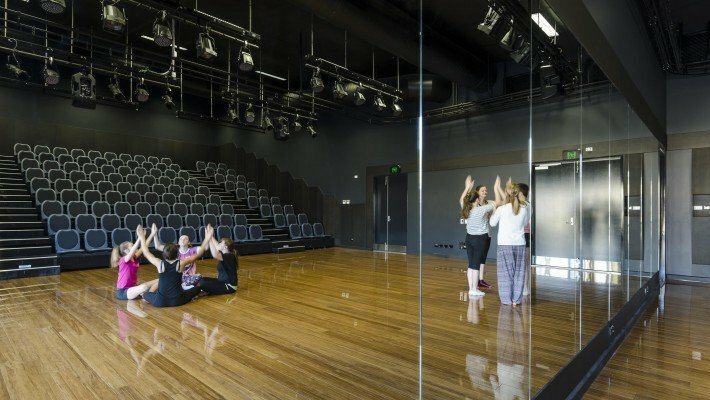 The Department of Planning, Transport and Infrastructure (DPTI) engaged Pascale Construction to undertake the construction of a new 1,050m2 Performing Arts building and extensive building upgrade works at the Salisbury East High School. 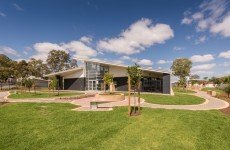 The works included construction of new art, multimedia, music and dance rooms, associated change rooms and facilities, a new link bridge to the refurbished Senior Centre for year 12 students together with a new lift to the administration building. 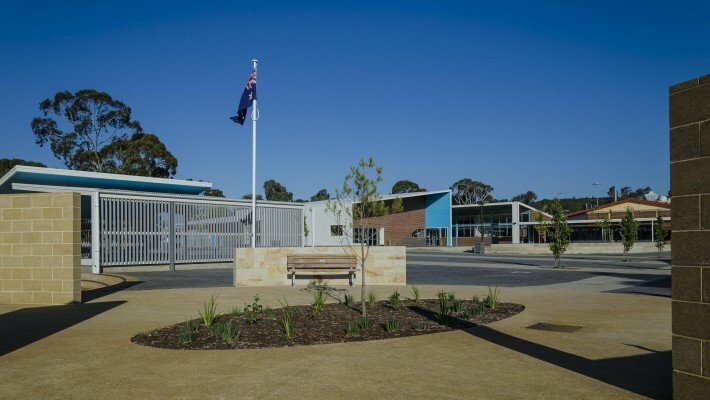 Requiring an exceptional attention to detail, the outdoor works comprised the construction of two new external shelters for learning and recreation, a raised lawn amphitheatre for presentations, a memorial featuring Carey Gully stone and masonry with exposed aggregate pavement, and new landscaped areas including paving, planting and street furniture. 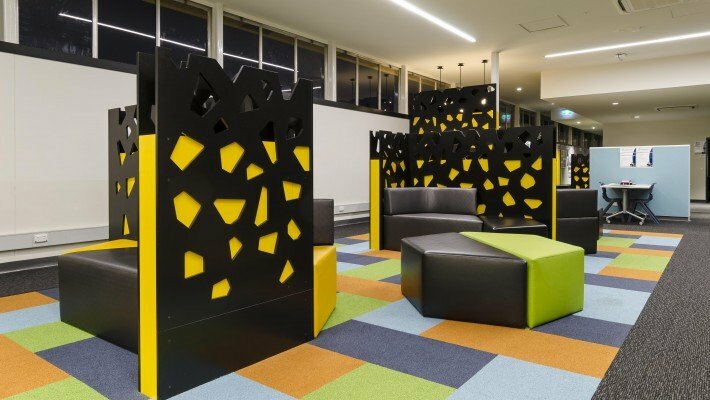 The upgrade works consisted of the refurbishment of textiles and home economics spaces, as well as external play areas including basketball and netball facilities. The works were undertaken in an operating school. 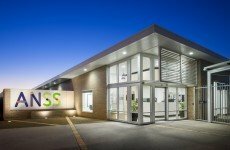 Hence, it was significantly challenging and of high importance to maintain a safe operational environment and a segregation of subcontractors, staff and students and provide safe operational access. 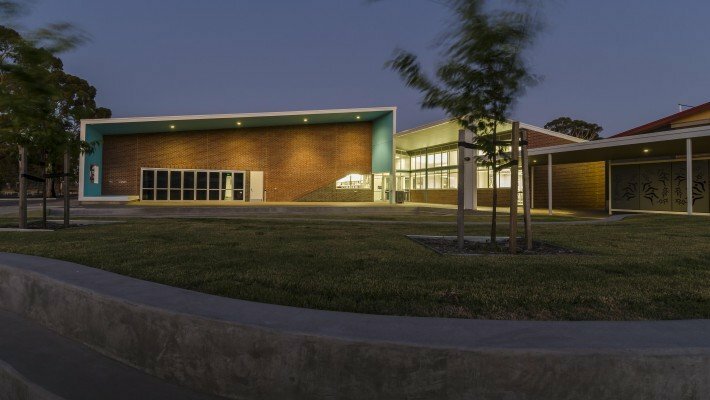 Staff and students comfort during and after construction was paramount, and the project team was able to seamlessly deliver the buildings in stages with minimum disruption. 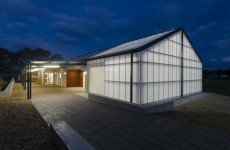 An addition of a major refurbishment to the contract works during the late stages of the project along with amendments of mechanical design elements and the removal of an old oil tank lead to lag on the program and required additional resources to minimise the delay. 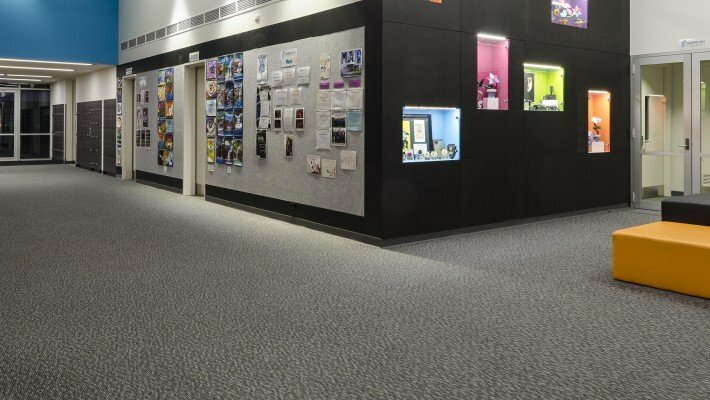 Through collaboration between the design, client and construction teams, expectations were clearly understood and all parties were able to work towards a common goal whilst managing challenging time frames. 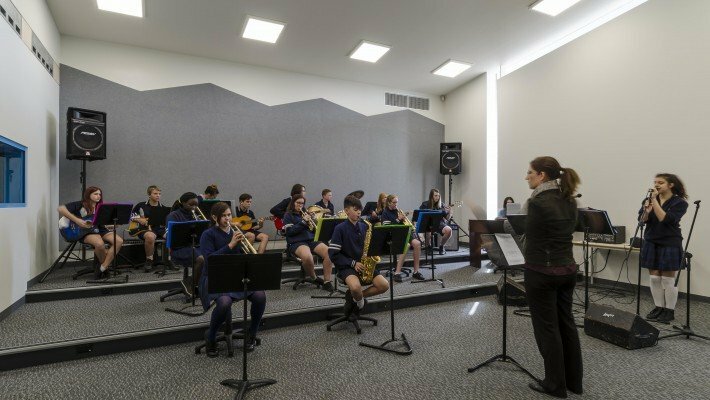 For the former students, the new works have lifted the space up and lead to a vibrant creative arts program, which will be running in the new arts facility. 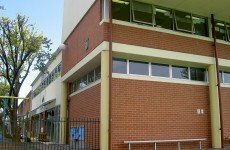 The year 12 students now have an exceptional up to date space for learning in the refurbished Senior Centre.